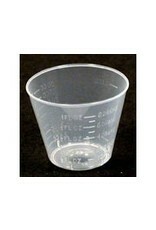 Translucent cups that are suitable for measuring both liquids and powders. 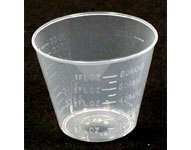 Sleeves with 100 cups each. Graduated 1oz. plastic cup. Calibrated in drams, fl.oz., mL and cc. Latex free.